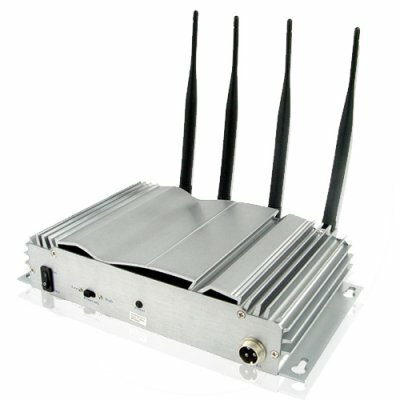 Successfully Added Advanced Mobile Phone Signal Jammer with High + Low Outputs to your Shopping Cart. Mobile Phone signal jammer for completely stopping all of those pesky cell phone calls, with a typical range of 40 meters. This mobile phone signal jammer will stop signals on the DMA, GSM, DCS, and 3G bands without interrupting any other electronic device, and with the high and low setting, you can modify how far the jamming coverage will be. This is a perfect device for all those areas that require quiet including meeting rooms, museums, theaters, churches, classrooms, and is designed to either be used on a table top or inconspicuously placed on ceilings. A great item for peace and quiet, and available at Chinavasion's super low wholesale price. on 2010-02-05 20:19:54 This really works! What more is there to say? I buy one of this product and I can say that it is great. In the office it was a real problem with the mobile till a put in function this product Great invention for our stress. This is one serious jammer people. 40 meters easily on all bands. It does get pretty warm to the touch when in operation. I wish it came with a mobile power source, but an inverter easily handles the load it requires. Movie theatres should buy these things....nothing worse than cell phones ringing during a movie!